Tyler was born and Raised in Alpena, South Dakota. Before attending South Dakota State University, Tyler graduated from Wessington Springs High School. He is now an Agronomist with Kelsey Seed and Ag Services, a Pioneer Hi-Bred Affiliate, where he concentrates on Crop Consulting and Soil Management. Tyler was very active in South Dakota FFA and was able to serve as his Chapters president his senior year of High School. Tyler Rushed AGR in the Spring of 2011 with Cameron Pewe as his big brother. While he was in the House Tyler was able to serve as VNR- Membership Development and then transitioned into the Office of Noble Ruler. Also while at SDSU Tyler was able to compete on the Crops Judging team for two consecutive years. Michael was born and raised on a farm near Fairmont, MN. He studied Agricultural and Biosystems Engineering at SDSU where he graduated in 2013. After graduation he went to work for AGCO as a design engineer on the Challenger tractors and still helps out on the family farm. He joined AGR in the spring of 2010 and served as Computer Chair, VNR-Scholastics, and VNR-Planning during his time there. While on campus he was an active member of several other organizations as well as being a Physics Learning Assistant, teaching Introduction to Precision Agriculture Labs, and tutoring many AGR members in various subjects. Keith Goehring graduated from high school in Selby, SD, and was initiated into AGR in the fall of 1969, with Clyde Fuehrer as his Big Brother. He graduated from SDSU in January of 1971. He began working for Wells Fargo Bank in 2-6-1972 and after a 36 year career as an Ag Lender, retired on 11-30-2011. He now lives on a 180 acre farm 16 miles southwest of Brookings. He and his wife Irene celebrated their 40th wedding anniversary in October of 2014. They have 5 children, and 16 grandchildren. He is currently serving as Secretary-Treasurer, of the SDSU Alumni Association, and serves on the Board of Directors of the Citizens State Bank in Arlington, SD. Both he and Irene are very active in the 1stUnited Methodist Church of Brookings. Hobbies include restoring IHC tractors, going to SDSU men’s and woman’s basketball games, and reading non-fiction books. He also served on the AGR alumni board in the 1980’s helping with a remodeling project in the house. John Wiese is a lifelong resident of Flandreau, South Dakota. 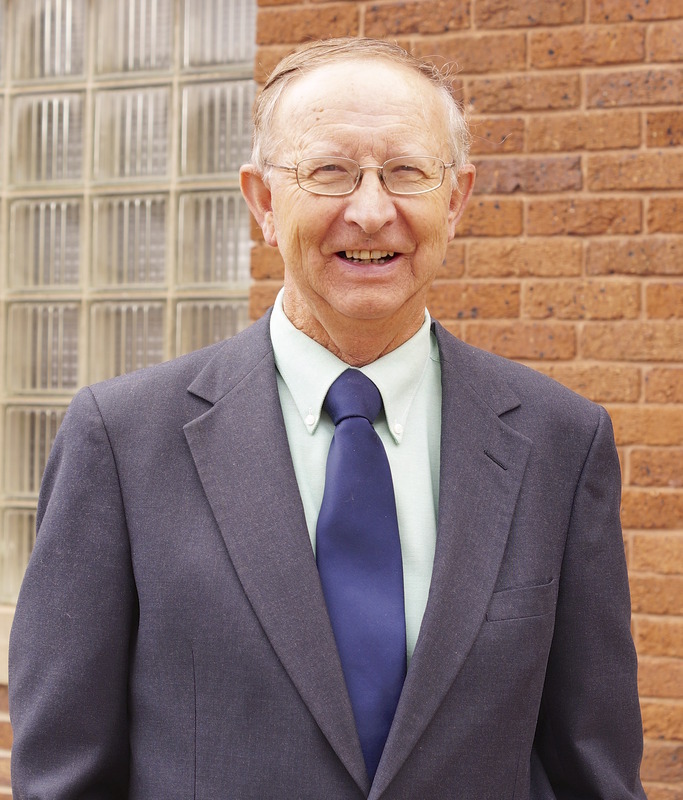 He began farming in 1966, and enrolled at SDSU in the fall of 1967. He was initiated into AGR in the fall of 1969 with Dan Arbach as his big brother. He graduated SDSU in 1971 with a degree in Animal Science. He then farmed for 33 years, and is currently retired with employment by Interlakes Community Action transit bus system, Dakota Layer egg production facility, Flandreau Public Schools, and Wiese Farms. John has been married to Marsha (Stuefen) with 4 children and 3 grandchildren. He also was a past president of the AGR/Alpha Phi alumni association in the 1970's. John has also served on the board of directors of Cenex cooperative, Moody County Historical Society, and various governmental boards. Lifelong member of Second Presbyterian Church with service on various church boards. Gary Overgaard was born and raised near Luverne, MN. He graduated from high school in 1970. Gary enrolled at SDSU in the fall of 1970 and graduated in the spring of 1974 with a B.S. in Animal Science. Gary initiated AGR in spring of 1971. He started farming in 1975 and moved near Magnolia, MN, from 1979 to present. He raised registered sheep until 1992 and was a wean to finish hog feeder till 2014. Gary currently crop farms and is a Monsanto seed dealer. Gary has been married to his wife, Emily, for 20 years. Pat was born and raised on a farm near Ghent, MN. He graduated from SDSU in the Spring of 1983 with a BS in Animal Science. Pat was a member of SDSU meats and General Livestock judging teams. He was honored to serve as Noble Ruler and upon graduation, served as Chapter Services Manager on the National Staff for a year doing annual visits to chapters and colonies as well as assisting with recruitment when needed. After that term, Pat returned to the farm and married Sharon (Simmons) and have three boys all in their own careers with two grandsons. He continue to farm near Ghent with one son and 2 brothers, feeding cattle and is also am a Channel Seedsman. Chris grew up on the farm near Slayton, MN he graduated from Murray County Central high school in 2009. In High School he was very active in both FFA (received American Degree) and 4-H. 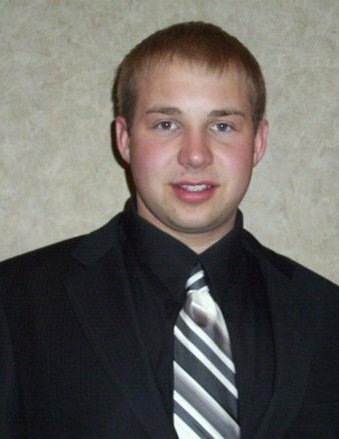 He was initiated into AGR in the fall of 2009 with Trent Kubik as his big brother. While in AGR he served 2 terms as Co-Steward. On campus Chris was an active member of the Agronomy Club, member of the Crops Judging team and on Little I staff. He graduated in the fall of 2013 with a bachelor degree in Agronomy. 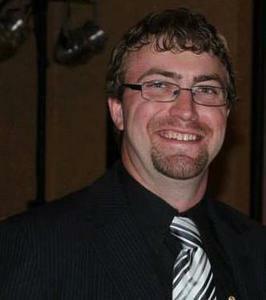 Currently he is employed at Dekam Seed and Fertilizer in Edgerton, MN as an Agronomist. Chris lives in between Slayton and Avoca and is still actively involved in 4-H as a club leader. He is also a Member of the Murray County Fair Board. Chris also serves the community as trained severe weather spotter. When not at his day job, he is also involved on his family farm near Avoca. In his spare time he likes to attend sporting events. Born and raised on dairy/beef farm near Owatonna, MN and graduated from Medford High School in 2011. Actively involved with 4-H, FFA (received American Degree), and Dairy Ambassador throughout high school. I Initiated into AGR Fall of 2011 with Justin Krell as my big brother. I was Chaplain, VNR Scholastics and Prexy Rep along with Dairy Club President, Little I Super, Student manager at SDSU Dairy farm, and competed on Dairy Cattle Judging and Dairy Challenge teams throughout college career. I graduated in May 2015 with B.S of Dairy Production returning to Medford after a Ag trip to China. Currently works at Holden Farms Inc. as a finishing production serviceman managing 16 growers and roughly 55,000 hogs. I also help crop farm and raise steers with my uncle. Actively involved with Medford Lutheran Church and serve on council board. Hobbies include collecting 1/64 scale tractors, going to NTPA truck and tractor pulls, attending country music concerts, dairy shows, trap shooting, hunting and playing cards. Kyle grew up on a farm near Madelia, MN and graduated from Madelia High School in 2005. Kyle was initiated in AGR in the fall of 2005 and his big brother is Ryan Brace. During Kyle’s time at SDSU he was actively involved as VNR-Membership Development, VNR – Alumni Relations, and Historian. On campus Kyle was involved in Agronomy Club, Crop Judging, Little International, Greek Life, collegiate 4-H, Farmer’s Union, and a study abroad trip to Argentina. Kyle obtained both a B.S. in agronomy, as well as a M.S. in Plant Sciences from SDSU. Kyle is a Regional Agronomist with Winfield United, a Land O’ Lakes company, and lives in Brookings with his wife Kim who teaches at SDSU, and his son Colton. Brad has served as the advisor for AGR since Fall 2011, although he was not a Collegiate member of AGR he was always a strong supporter and friend of AGR at SDSU. Upon his return to campus to serve in the Ag-Bio Academic Programs office, he was initiated into membership and began serving as chapter adviser shortly after. Brad’s favorite part of advising the men of Alpha Phi is to watch the members grow both in their leadership and scholastic abilities. Jay is an Agronomist in Redfield, SD for South Dakota Wheat Growers where he started when he graduated in the Spring of 2013. 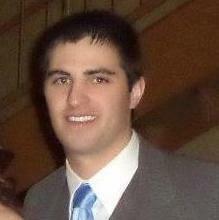 He joined AGR in the Spring of 2009 with Jacob Knippling as his big brother. Originally born in Eureka, grew up in Beardsley, MN although he was in SD 4-H and very actively showed Sheep, Pig, Cattle, and even a few meat goats. Was past VNR management and Operations, participated in Little I achieved winning 2012 High Point Upperclassman, as well as was involved in Block & Bridle and Collegiate Farm Bureau. David originally from Bricelyn, MN the former Noble Ruler (2005) attended SDSU from 2002-2006. After graduation in the fall of 2006 he worked in north west Iowa in the engineering department of Energy Panel Structures. Five years later he returned to South Dakota via a transfer within MacArthur Company to the Sioux Falls office where he works in estimating and inside sales. 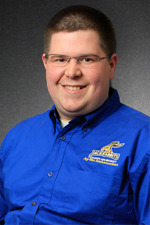 An admitted Jackrabbit Athletics fanatic, David has worked on the Football and Basketball stat crews since 2002 and has volunteered at the Summit League Basketball tournament since its inaugural year in Sioux Falls (2009) and Summit League Baseball tournaments hosted by SDSU in 2011 and 2014. He currently resides in Sioux Falls with is his wife Jenna and daughter Nora whom they welcomed in June 2014. David was re-elected to a three year term on the alumni board after previously serving consecutive single-year terms in 2013 and 2014. Nick was an Animal Science major with a business minor. With Jamie Pietig as his big brother. His roles in the Chapter were Co Steward and Nobel Ruler in ’09. He was active with Little International, Block and Bridle, Meat Judging and other various committees and boards while in Brookings. He graduated Dec 2009. Nick grew up in Rock Rapids IA but calls Mitchell SD home where he is a salesman at Hog Slat. Tyler graduated from South Dakota State University in 2011 with his bachelors degree in Agricultural Systems Technology. Tyler is a very active individual who likes to spend his time at SDSU Jackrabbit sporting events, traveling, hunting, and any other outdoor activity.